I'd been hearing about this, the SportsCenter guys clearly getting psyched up for the Hartford show... here's a clip of the intro. During rehearsals in Asbury Park earlier this week, Springsteen took some time to speak with USA Today's Elysa Gardner; the interview runs today as Bruce and the band gear up for tonight's kick-off in Hartford. "On any given night, what allows me to get to that higher ground is the audience," he tells the paper. "I look for an audience that's as serious about the experience as we are, which, after all these years, continues to be pretty serious." Gardner also reveals what Bruce has been up to during the break: "He's been in the studio with E Street, along with Brendan O'Brien, who manned the boards for both Rising and Magic. The singer also is 'recording on my own, for an acoustic record. I work on a lot of projects at once.'" Check out the USA Today feature here. "Oh, it was a great honor," Pete Seeger says of Springsteen's Seeger-centric 2006 project, "He's an extraordinary person, as well as an extraordinary singer." Seeger also discusses Dylan, the presidential election, and the new documentary, Pete Seeger: The Power of Song (in which Springsteen appears). "Well, it's too much a eulogy if you ask me," Seeger tells RS's Andy Greene. "It didn't tell all the stupid things I've done. I've done hundreds of stupid things." Read the full interview at Rollingstone.com. A Boss cover from the L.A.-based power trio Automatic 7, taken from their latest album, At Funeral Speed. For more on these guys, check out their MySpace page and the Mental Records website. Automatic 7 - "Atlantic City"
Springsteen co-manager Barbara Carr was recently honored in Cleveland at a Rock and Roll Hall of Fame event, "Riot Girls and Rebels: A Celebration of Professional Women who Rock." That's her far left, with fellow honorees Joan Jett (who headlined the night with the Blackhearts) and Eliza Wing (president and CEO of Cleveland.com), with Rock Hall president/CEO Terry Stewart. The event raised money for the museum's educational programs. Is there anybody alive out there? Hell yeah! After a two-month break for the holidays, Bruce and the E Street Band are back in the saddle this week, with the first Magic concert of 2008 just three days away. Thursday night in Hartford, with stops in Quebec and Ontario following shortly thereafter, kicks off a two-month trek around North America. See our Tour/Ticket Info page for the itinerary as it currently stands. Today, Bruce and the E Streeters reconvened to warm up for the tour with a closed rehearsal. After Charlie Giordano filled in on organ for the last European leg, many fans have been wondering when Danny Federici might able to return to the stage. We're wondering, too, with high hopes and continued best wishes for Danny, but there's yet to be any official word. While we won't speculate about Danny's health, Charlie's presence at today's tour rehearsal at least seems to indicate that Bruce still plans to make use of the Sessions Band player's talents. Otherwise, time will tell. The G.A./pit entry policy should be the same as this past fall: general admission ticketholders can arrive before 5:00 to get a numbered wristband to be part of the pit lottery; a random number will be drawn shortly thereafter to determine where the line starts; the line moves in around 5:30, filling up the pit first, and then the main floor. Watch this page for any further, venue-specific details prior to each show, as well as setlists and reports afterwards, as usual. IRAQ VETERAN FINDS INSPIRATION IN "DEVILS"
A new documentary called Body of War focuses on Tomas Young, a veteran of the war in Iraq who was shot and paralyzed his first week serving there. Young himself selected the music for the film's soundtrack, Body of War: Songs That Inspired an Iraq War Veteran, and as Billboard.com reports, Springsteen's "Devils & Dust" will lead off disc two of this two-CD set. Other artists include Against Me!, Public Enemy, Tom Waits, and John Lennon, along with some of Bruce's Vote for Change tour mates: Bright Eyes, Neil Young, Pearl Jam, and Eddie Vedder, who contributed a new original. It's a very personal collection of music, as Young previously told Billboard.com: "The songs collected here are the sounds that have helped to inspire me and keep me going as I struggle to find the strength to deal with my new physical limitations while trying to find the energy to fight when many parts of my body and brain are telling me to stop....Each song you hear you're hearing because I found a meaning in it that helped focus a number of emotions and turn them into something that I hope will ultimately be positive." The CD set will be released on March 18 from Sire, and an LP version on April 15, with all proceeds to benefit Iraq Veterans Against the War. We're sorry to hear of the recent passing of Suzy Shaw -- longtime Springsteen fan and keyboard player on the 1982 Bruce Springstone parody record. Its picture sleeve alone is a classic, picturing Fred as Bruce and Dino as Clarence, and the songs themselves have had a long life. In fact, the forthcoming book, Baseball's Greatest Hit: The Story of "Take Me Out to the Ballgame," celebrating the song's 100th anniversary, will list the Springstone B-side among the top 25 versions of the song ever recorded. In 1994, Suzy wrote "The Bruce Springstone Story" for Backstreets #48, her own page right out of history. Of meeting Clarence Clemons, she wrote: "I was almost too shy to say anything, but when I finally did, I told him I'd played the organ on the record. He said, 'You bad girl!' with a delightful twinkle in his eye." "Bedrock Rap / (Meet) The Flintsones"
A classic Greetings-era E Street Band performance has come to Wolfgang's Vault: the original King Biscuit Flower Hour recording from January 31, 1973. Springsteen and the E Streeters were opening for Biff Rose at NYC's Max's Kansas City, and this is an hour's worth of music -- six songs from the early show ("Mary Queen of Arkansas," "Bishop Danced," "Wild Billy's Circus Story," "Spirit in the Night," "Does This Bus Stop at 82nd Street?," and "Thundercrack"), and two from the late show ("Saga of the Architect Angel," "Song to the Orphans"). "Bishop Danced" is the only song here that was officially broadcast, and it also turned up on Tracks; though the rest of the material has circulated among collectors, this is a clear upgrade. One of our, um, "audio experts" reports: "I've compared the Wolfgang's Vault version, and it is an improvement over all of the boots I've heard of this show. Previously available recordings sound like really good soundboards; the WV version sounds like a commercial CD with much more high end, without any hiss at all, the vocals crisper and more forward. Unlike a lot of their King Biscuit shows there is no sound overloading and boominess." Listen here. Also new to WV today, in the latest Crawdaddy!, is Joe Sullivan's "Not Fade Away," tracing the connection from Buddy Holly to Bruce to the Arcade Fire; and from the archives, a 1973 review of Jon Landau's It's Too Late to Stop Now: A Rock and Roll Journal. Greg Mitchell and Peter Knobler were editors of Crawdaddy! in the '70s, which ran the first major article on Springsteen, 1973's "Who is Bruce Springsteen and Why Are We Saying All These Wonderful Things About Him?" Mitchell is now the editor of Editor & Publisher, and his new book features a preface from that aforementioned Wonderful guy. In his brief preface titled "Tell the Truth from Lies," Springsteen notes, "Greg Mitchell's So Wrong for So Long goes a long way toward correcting some of the misconceptions that the media haven’t been ready to deal with...." So Wrong for So Long: How the Press, the Pundits -- and the President -- Failed on Iraq is due March 4. For the 2008 E Street Band tour (which starts next week! ), Springsteen has begun donating pairs of tickets for charity auction; the sale of these tickets will help fight hunger by benefitting causes like World Hunger Year and Moisson Montreal. Ticket packages are on the block now for Nassau Coliseum, Montreal's Bell Centre, and Rochester's Blue Cross Arena. Each package includes VIP tickets (winner's choice of GA Pit or first tier loge) plus passes to the E Street Lounge. For details and to bid, head to charityfolks.com. It's on DVD now, but if you're in the Pittsburgh area, you have a chance to see A Good Life: The Joe Grushecky Story on the big screen this Thursday. The Pittsburgh premiere will be at the Southside Works Cinema, February 21 at 8 p.m., including a Q&A session with the filmmakers after the screening. For more information, visit kdka.com and grushecky.com. Thanks to a LaBamba brainstorm, Southside Johnny and the Jukes' next show -- a benefit Saturday night in Morristown, NJ -- will include a 30-piece string section from nearby Randolph High. "I said okay, but he's in charge of it," Southside told Jay Lustig in the Star-Ledger, "If it doesn't work, it's all his fault." Elsewhere down the shore on Saturday night, John Eddie hosts the Stone Pony Anniversary show with Shore legend Sonny Kenn opening and a special appearance by Glen Burtnik, who will join John on stage. See our Concert Calendar for more dates like these. EHN: You got him Bruce Springsteen tickets... I call that love. RC: Congresswoman, I did not get him Bruce Springsteen tickets. EHN: Well... let us correct the record! And in the Daily News, Clemens' attorney Rusty Hardin elaborates: "Roger's point was, maybe he should have given him the Bruce Springsteen tickets. Maybe this all would have been gone. But Roger couldn't get him any." Springsteen lost in the only televised category of his four nominations at last night's Grammy Awards, with the Foo Fighters taking home the statue for Best Rock Album. But in the non-televised ceremony beforehand, Bruce won the other three: Best Solo Rock Vocal Performance and Best Rock Song for "Radio Nowhere," and Best Rock Instrumental performance for "Once Upon a Time in the West." Springsteen did not attend either ceremony. So I picked up the phone today, and who was on the other end but Mighty Max Weinberg! He's playing a benefit show Sunday night and wanted to encourage fans to come out and see him. Sounds like a great night of jazz, and for a great cause, too. "As you know, arts and music in general are really taking a hit in schools," Max says, and the second annual "For the Love of Music" Gala is doing something to help the cause, benefiting music programs and facilities at Columbia High School in Maplewood, NJ. Columbia is where Max went to high school, playing drums there; he'll be emceeing the benefit on Sunday night, February 10, at the Women's Club in Maplewood, and playing with the Columbia High School Jazz Ensemble. Also on the bill are renowned jazz artists from the Maplewood/South Orange community including Bill Charlap, Darmon Meader, Sarah Partridge, T.S. Monk, John Lee, Holli Ross, the New Jazz Trio, and many others. 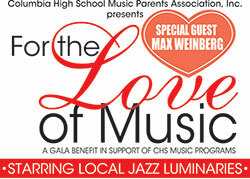 "For the Love of Music" is hosted by the Columbia High School Music Parents’ Association (CHSMPA, Inc.); the evening includes a silent auction before the concert and a champagne and dessert reception afterwards. For more information and ticket details, visit www.chsmpa.org. Max has been busy to say the least, jumping from the Magic tour right back into leading the Max Weinberg 7 on Late Night with Conan O'Brien -- not exactly a cakewalk, with the writers strike going on. "Extremely challenging," he calls it, "But I'm happy to report we've done incredibly well. Conan is amazing -- I mean, everbody knew that anyway -- and it's really like battlestations on a ship, everybody's been pitching in." Psyched to get back to the E Street Band tour in just three weeks? "Oh, of course! It's been a phenomenal tour -- and we've just scratched the surface." After a limited theatrical release last year, and no DVD imminent, Pete Seeger: The Power of Song comes to public television later this month. Featuring Bruce Springsteen and other contemporary artists on Seeger's legacy, this authorized biography of the folk legend was directed by Jim Brown and is airing as part of the PBS series American Masters. The official broadcast premiere is Wednesday, February 27, at 9 p.m.; visit PBS.org for more information and to check your local listings. Er, make that "Summer Clothes" -- free! 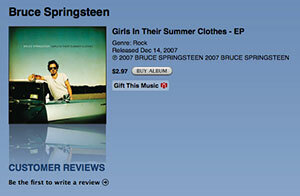 Now that the iTunes Store exclusivity is over, look for Springsteen's "Girls in Their Summer Clothes" video out and about, including online streams at VH1.com and CMT.com. New on DVD is A Good Life: The Joe Grushecky Story, a 90-minute documentary on the man Bruce calls "the most handsome man in the world of Pittsburgh show business." The debut from filmmakers Jim Justice and Steve Caniff (recently featured in the Cincinnati Enquirer), the film features live footage with the Houserockers and an appearance from Springsteen as well. "A tale of determination, passion, desire and success... no matter how you measure it." Check out the trailer below, and order the DVD now from our online shop! And something to keep you warm: just back in stock today are all sizes (Medium - XXL) of the classic E Street Band hooded sweatshirt. 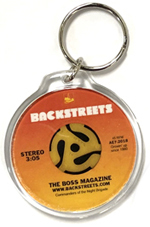 See all Latest Additions in the Backstreet Records shop. Our thoughts and prayers are with Danny Federici as he battles melanoma -- and our birthday wishes are, too, as he turns 58 today, born January 23, 1950. Happy birthday, Danny, hope it's a good one, may this new year bring you good health and a return to your riser! Here's our first official confirmation that our Summer of Bruce won't be ending at Giants Stadium in July. Bruce and the band will be returning to Milwaukee in August, after their Bradley Center stop in March, for a much bigger show. On August 28-31, Harley-Davidson celebrates its 105th anniversary at the Summerfest Grounds in Milwaukee, and they've just announced that Springsteen and the E Streeters will play as part of the festivities on Saturday, August 30. Also performing that weekend are ZZ Top, the Black Crowes, Buddy Guy, Foghat, and more. The Springsteen show will be an additional concert held outside the Summerfest Grounds at the Roadhouse at the Lakefront, requiring a separate $40 ticket in addition to the $60 105th Anniversary ticket (available now). According to The Business Journal, 60,000 general admission tickets will be sold for the Springsteen show. 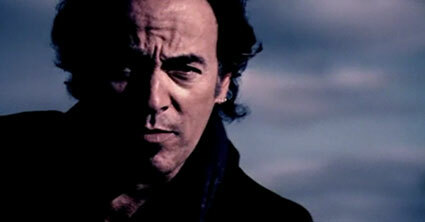 Only 105th Anniversary Ticket Holders can purchase Springsteen tickets, which go on sale April 5 at 8 a.m. Central. Read the press release here; see Harley-Davidson.com for additional information. Keep your eye on the schedule at emergingpictures.com, as they're continuing to add theatres for the HD Live in Barcelona screenings. This week, the E Street Band concert film plays on the big screen in Bryn Mawr, PA (Wednesday, 1/23) and Pittsfield, MA (Friday, 1/25). Don't forget, three Magic shows go on sale Saturday: Sacramento, Dallas, and Nassau Coliseum in Uniondale, NY. For details and links, see our Tour/Ticket Info page. And on Sunday night, the Springsteen episode of Classic 60 Minutes premieres on VH1 Classic, featuring Bruce interviews with both Ed Bradley (1996) and Scott Pelley (2007). Bassist John Luraschi, one of the Creators of the Sound of Asbury Park, was recently diagnosed with inoperable cancer. On January 27, a great number of old friends from the Shore scene will come together for a tribute show at the Headliner, including Sonny Kenn, Cold Blast and Steel, Cahoots, Boccigalupe & the Bad Boys, the George Theiss Band, and Steel Mill. Proceeds go to John. 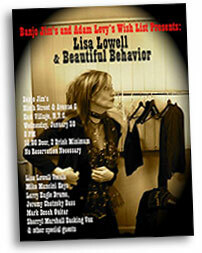 A few days later, catch Lisa Lowell in the East Village, where she'll be reunited with fellow Sessions Band players Larry Eagle on drums and Jeremy Chatzky on bass in her band Beautiful Behavior. That's January 30 at Banjo Jim's. For more upcoming shows from these and other related artists, FOBs, and tribute bands, see our Concert Calendar. More on the "Girls in Their Summer Clothes" EP, released yesterday via the iTunes Store here in the States. In the U.S., iTunes has exclusivity for the first two weeks, meaning that starting on January 28 or 29, you can start looking for the video on channels like VH1 or CMT, and likely be able to download the tracks from other vendors online. In Europe or elsewhere, there's no such deal in place that we know of. The downside is that with no coordinated iTunes release internationally, the audio/video isn't yet available in many other countries (as quite a few emails from fans around the world have told us); the upside is that this material should be soon available outside of the U.S. from multiple online music services. More details as we have them. Announced in early December, the "Girls in Their Summer Clothes" digital EP has arrived. It's currently exclusive to the iTunes store: get the new "Winter Mix" (a subtly tweaked mix from Brendan O'Brien), the Mark Pellington-directed video for the song (that's a still above), and a live version of "Girls," for $2.97. Embodying strength and experience, never afraid to show emotion, and more than likable enough, Clarence Clemons turns 66 today, born January 11, 1942. Last month, it was announced that a "Girls in Their Summer Clothes" bundle (a video and two audio tracks) would be coming soon to iTunes: "It will feature the new video for the song, directed by Mark Pellington; a new 'Winter Mix' of the song; and a recent audio concert performance." Since then a lot of fans have been wondering where it is... but we hear the wait is almost over. Look for the "Girls" bundle to be available as an iTunes Store exclusive around the middle of this month. A new series on VH1 Classic called Classic 60 Minutes will be focusing on Springsteen next weekend. The series, hosted by Lara Logan, taps into the archives for new half-hour profiles of musicians that have appeared on the CBS News program. The Bruce episode, which premieres Sunday, January 20 at 8 p.m., will collect interview footage -- largely from his recent talk with Scott Pelley, but also from his 60 Minutes appearance in the '90s with Ed Bradley -- plus performance footage. There was an unusual delay in finalizing concert details, but North Texas fans, fear not: as the Star-Telegram reports today, the April 13 E Street Band concert is indeed set for the American Airlines Center in Dallas, with a confirmed onsale date of January 19 at 10 a.m. It's on Ticketmaster.com now. Tomorrow, January 8, will mark what would have been Elvis Presley's 73rd birthday. Just in time to celebrate is a newly released CD that includes Elvis-themed performances from both Bruce Springsteen and Patti Scialfa. 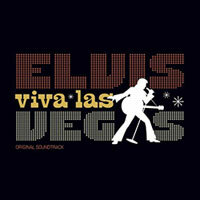 Elvis: Viva Las Vegas - Original Soundtrack contains tracks by Elvis and other artists that were featured in September's ABC television special, which explored in depth the triumphs and tragedies of Presley's Vegas years. Bruce's 1990 version of "Viva Las Vegas" opens the album, and he's also featured on Patti's track, which closes the album. It's an extended version of "Looking for Elvis," exclusive to this collection, recorded at Asbury Park's Convention Hall last August, with Bruce as part of the Whack Brothers Rhythm Section, playing one mean harmonica. The video performance first seen on the TV special is available online at the iTunes Store. E Street Radio will also be celebrating Elvis' birthday on Tuesday with a special "Bruce/Elvis Edition" of "You Be the Boss," a daily half-hour segment (airing at 10 a.m. ET) where Springsteen fans get to play some of their favorite tracks and share why these songs are special to them. Shawn Poole, who spearheaded Backstreets' massive 2004 feature on Elvis and Bruce (see Backstreets #80) will be tomorrow's guest host. Shawn wants to encourage other Springsteen fans to "Be the Boss" for a day, too. If you're interested, just call 1-877-33 SIRIUS, press "1" and then "10" when prompted. Happy 2008! It's now been 35 years since Greetings From Asbury Park, NJ, Bruce Springsteen's first album released on January 5, 1973, and 2008 will also mark 35 years since The Wild, the Innocent & the E Street Shuffle. More hard-to-believe anniversaries this year: the Tunnel of Love Express Tour's 20th, Tracks' tenth... and then, of course, the big one, the 30th anniversary of Darkness on the Edge of Town. After the way we celebrated Born to Run's 30th in style with a multimedia box set, hopes are high for a similar Darkness release likely coming this year, still under wraps but currently in the works. We'll keep you posted. More to look forward to this year: the long-awaited release of Southside Johnny's album of Tom Waits covers, Grapefruit Moon, which he recently told the Asbury Park Press will be out "by hook or by crook" in 2008. 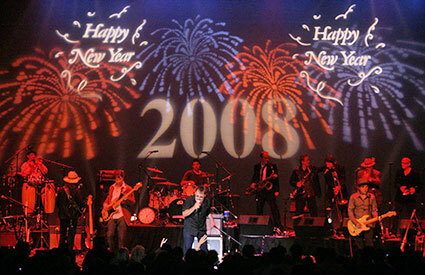 And, of course, Springsteen and the E Street Band return to the concert stage in less than two months, with their first show of 2008 on February 28 in Hartford, CT. As the schedule currently stands, Bruce and the band will be playing 54 shows -- 31 in North America and 23 in Europe -- between the end of February and the end of July. Could the tour really end there? Surely more U.S. stadiums in August? Stay tuned, it's gonna be another Boss year, and as always -- well, at least for the last decade, with 2008 marking the tenth anniversary of Backstreets.com, too -- we'll be following all the news right here. On the Valentine's Day episode of This American Life, Ira Glass talks about Bruce's love songs. Bruce Springsteen, "closet curler"? This would be a great show for... (wait for it)... sweeps. Excuse me, sir, no cameras allowed -- oh, very sorry, Mr. Wyman! Portland Bruce fan files class action lawsuit against StubHub! Read more in the Oregonian. Crawdaddy: "This is the Boss. Is Warren there?" 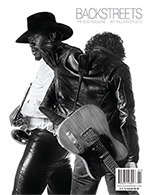 Little Steven talks about the current state of rock 'n' roll.